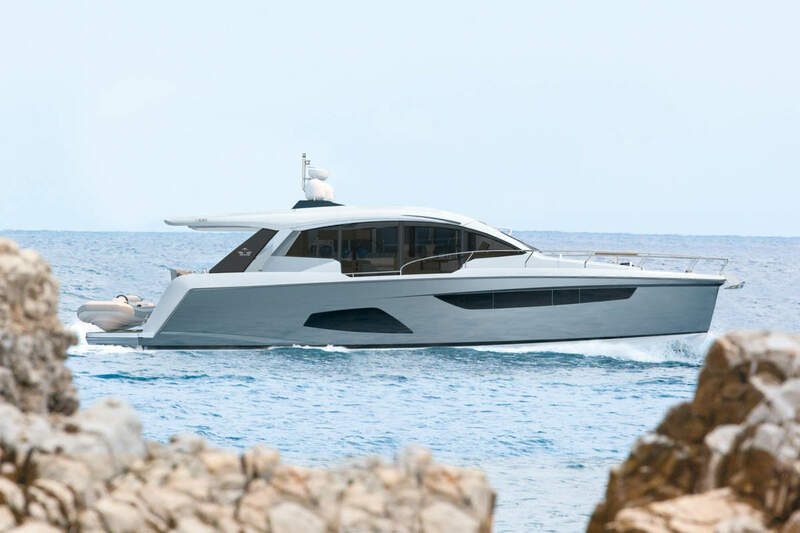 One word, Simple; the new mid-size Italian long range by Azimut Yachts continues to extend what is fast becoming the greenest motor cruisers available. Preceded by the innovative scope of the 74, and the commercial success of the 50, the new 43 is the newest addition to the Magellano Collection. 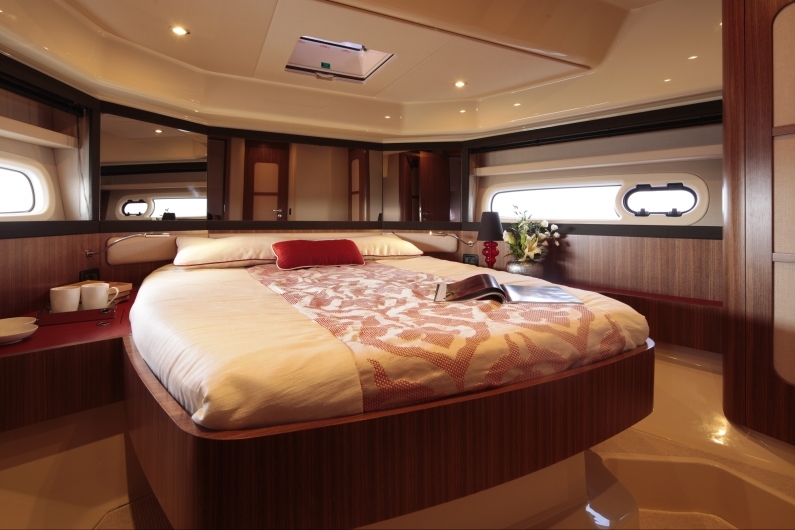 Within 13 meters is a concentration of all of the features of the Magellano Collection: smooth navigation in all conditions, excellent cruising range in a modern and Italian take on the traditional trawler. 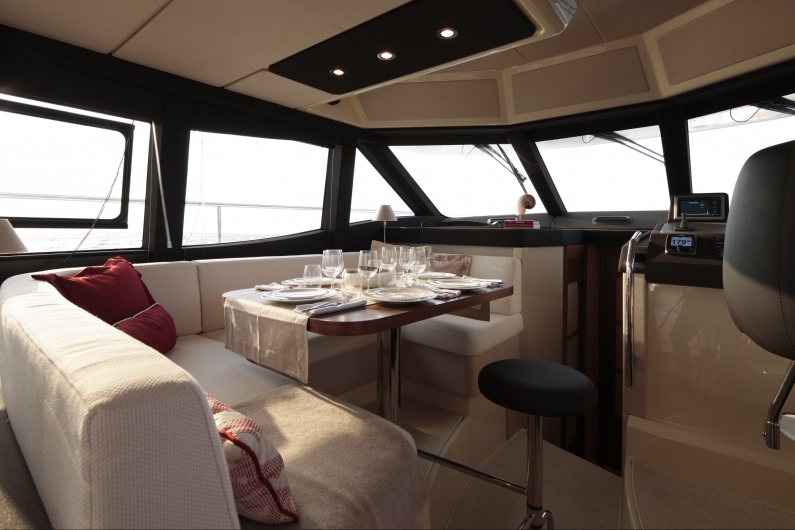 Destined not only for the high seas: there are two versions – Flybridge and Hard Top, to meet owners’ varying needs, the new Magellano 43 is also particularly suited for inland waters navigation. 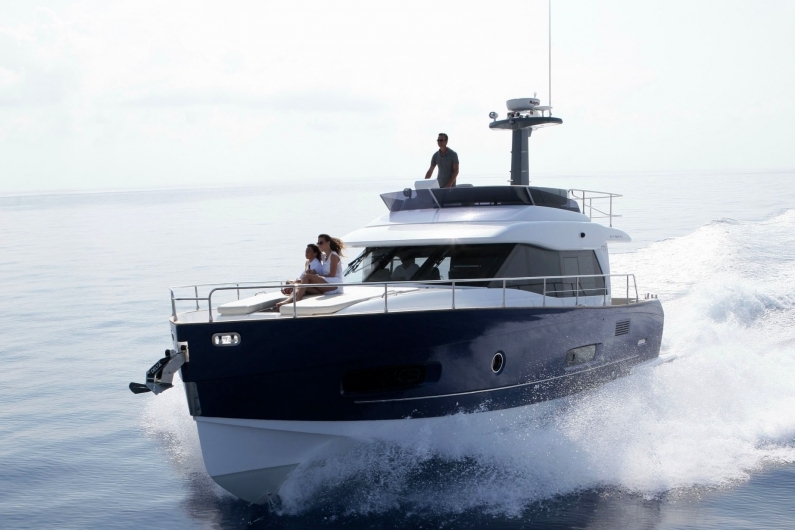 The flybridge version will be in display at the coming Cannes Boat Show; while the Hard Top version, together with the full Magellano range, will be launched at Genoa Boat Show.